Create a truly original look while keeping your table tops clean and neat with our personalized coaster sets. 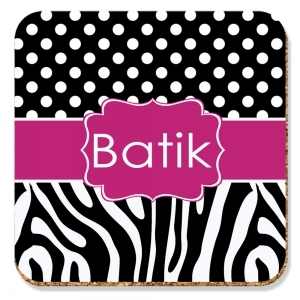 Unique personalized coasters make a great gift for yourself or family and friends. Replace your bland cork coasters with our preppy personalized coasters! 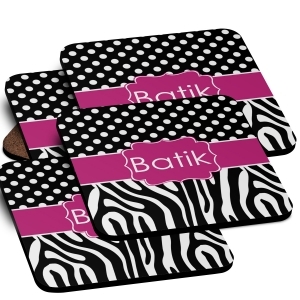 Design your coasters to match your home decor or just add a splash of color to your home! Never damage your furniture again! 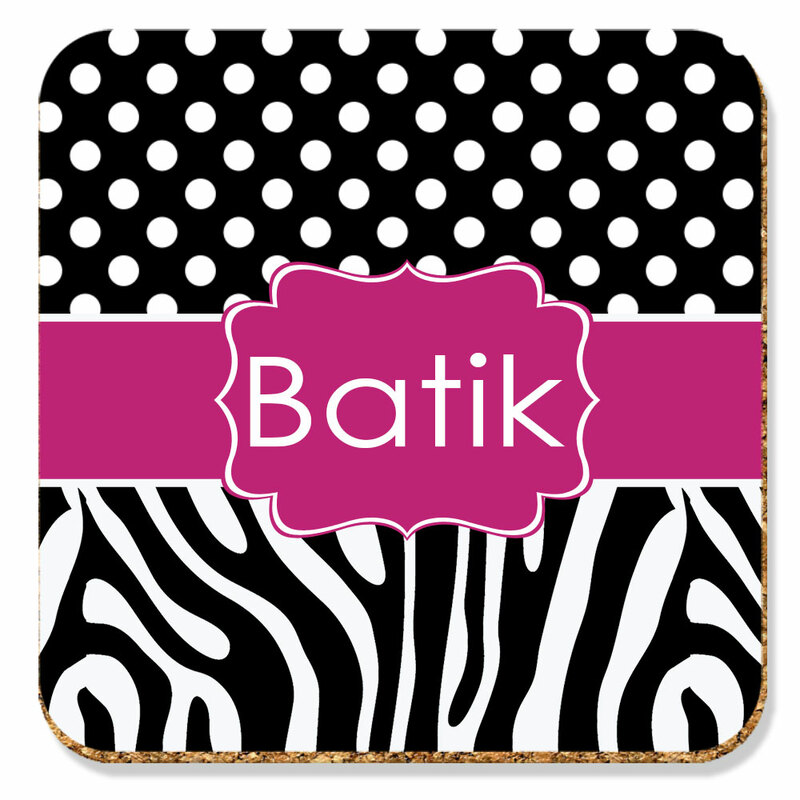 Use our personalized coaster set in your home or at work. Monogrammed coasters make an excellent house warming or wedding gift. Sandstone: Attractive bisque ceramic coasters with the look and feel of real sandstone. Includes cork backing. Personalization & Design are imprinted into the coasters & will not fade or wear off.